For those who are unclear about the format of SOMNIUM: it's an ordinary DVD-video disc, playable in regular, garden-variety home DVD players, as well as DVD-rom drives on you PC or Mac. It does not require (and in fact is not compatible with) a high-end "DVD-audio" format machine. To put it another way, it's a DVD-video with music only, no picture (aside from the menus). The DVD-video format was used because it enabled us to store 7 hours of continuous audio on one side of one disc -- no breaks in the program... no need to change discs or wait for a changer to swap from disc 5 to disc 6, for example. It is a stereo (two channel) audio program. Technical questions aside, SOMNIUM is a re-creation of Robert Rich's famous "sleep concerts," which began during Robert's time at Stanford University. These sleep concerts have been much discussed, but few current fans of ambient/space music have actually attended them. Consequently, a lot of speculation and mystery has grown about the "legendary sleep concerts." Now you'll have an opportunity to stretch out in the dark and listen to some of Robert Rich's finest deep, subliminal ambience.... seven hours worth, uninterrupted! Somnium is a single continuous track, a 7-hour "sleep concert" recording in DVD format (playable on ordinary home DVD video players). 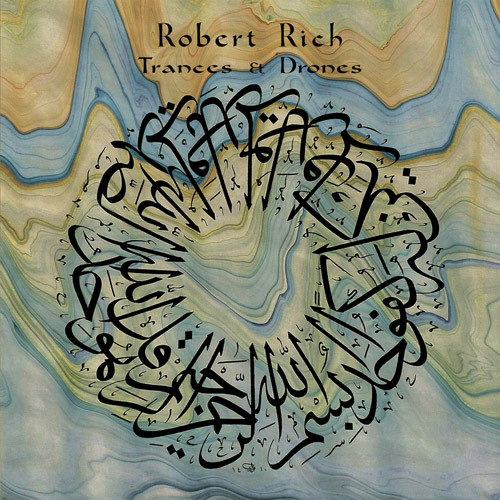 "This is really a mesmerizing and intense work and although it starts out as a very recognisable Robert Rich work, it slowly shifts into a long part of minimal and dissonant drones which I really love, to end up in a sort of sublte brightness again. Very strong and soothing." "What a landmark! This is truly an achievement to be proud of." 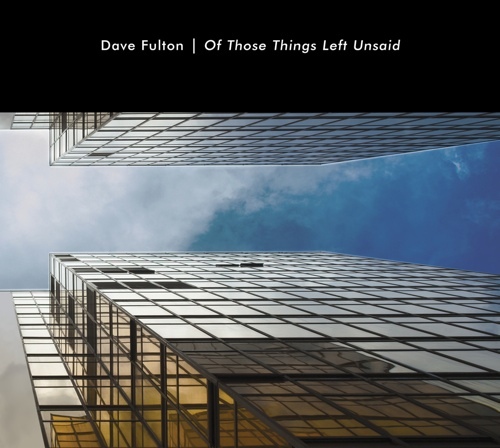 "...one if the Major Works in Ambient Music, a work anyone even remotely interested in (drone) ambient should consider buying." "I'm making a deliberate choice to write a short review for this 7+ HOUR RECORDING by the legendary mr. Rich. What's to say? Words fail me in glorifying this epic creation. It's wonderful, it's breathtaking, and it's virtually eternal. The disc has only three tracks, and the SHORTEST of them is 120 minutes. If you have a DVD player and you are a life form which requires intervals of sleep, this album is absolutely essential. Indeed; his music channels the gaia consciousness and draws you to her fragrant bosom. There's seashores, and enchanted glades, and spatial anomalies aplenty... how could there not be? And you're NOT SUPPOSED TO HEAR IT. The artists's intent is simply for you to experience it briefly between REM states. Yet it's entirely listenable, in that it is in a constant state of subtle transition. Absolutely masterful. 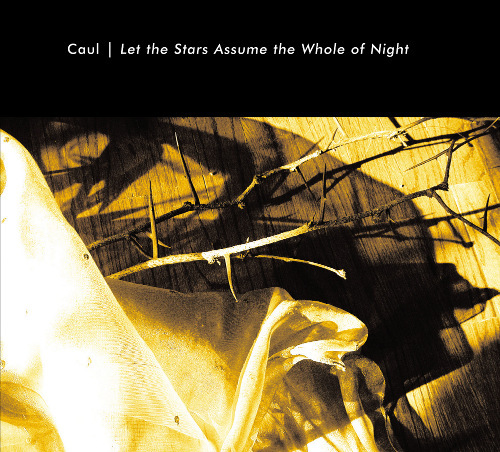 Please, for your own sake -- find this album, and BUY it." "Just received this today, and I'm in the second hour. Truly wonderful, check it out." "I love it, a necessity in anyone's Robert Rich collection, being a serious insomniac, Somnium helped me to drift asleep last night. I really enjoy it." "This innovative product allows Rich's renowned all-night public sleep concerts to be experienced in the comfort of your own, well, bed. The packaging presents it as a CD, yet this is a DVD with seven hours of sound. Believed to be the 'longest continuous commercial recording ever released,' the only visuals are the listening tips screens, with a re-stating of the liner notes and credits. This leaves plenty of mega-space for blissful ambient/environmental music meant for sleep accompaniment and dream enhancement. The music is not just soporific -- it lends itself, also, to active listening. I don't know if I'm more excited about the format/technology, or by the music. The synergy makes it a thrilling package. Informed listeners will be extremely pleased, so don't bury this in the rack with CDs." 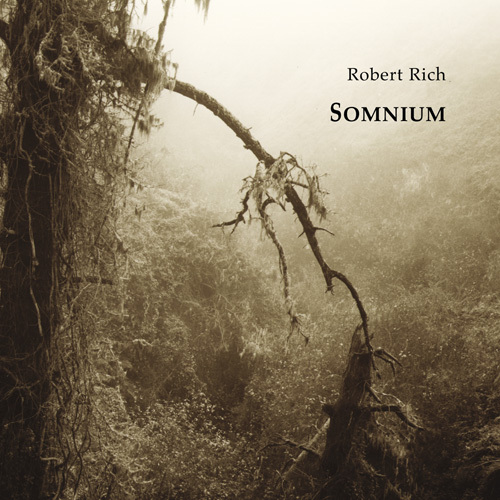 "A landmark in many ways, Somnium is seven uninterrupted hours of Robert Rich at his atmospheric best. The title pretty much says it all, a seven-hour studio interpretation of Rich's famous sleep concerts. 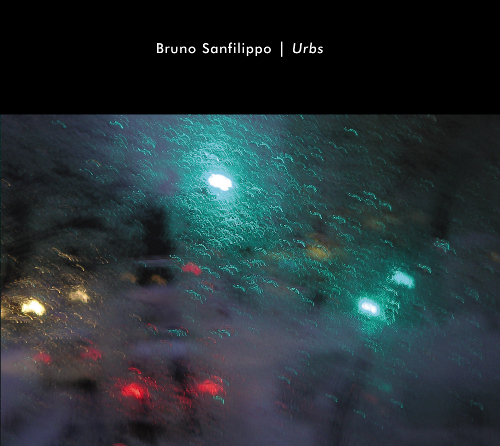 This is very much in the style of his minimal drones and field recordings from earlier works like 'Trances/Drones.' This music-only DVD will play in a conventional DVD player or your DVD-ROM drive on your PC. Other than some pretty basic credits, which also appear in the attractive muted brown CD booklet, this is just music, no video at all. So sit back, and, well, go to sleep. As Rich explains, that's exactly what he wants you to do. He suggests that the music will be most interesting at the transitions between sleeping and waking, and while dreaming. Alas, my PC is not near comfortable sleeping quarters, so I haven't tried it, but it is thoroughly enjoyable while wide awake. I haven't found myself willing to sit in front of my PC for 7 hours straight, so I may just have to get a home DVD player. The disc is divided into three parts, which is good for sampling, because the disc otherwise is not searchable like a conventional CD, that is, you can't fast forward or rewind to get to a particular point in a track. In fact, it doesn't even display running times while it is playing, either on a home DVD or a PC. It is meant to be played through continuously. So obviously, this is music for a specific purpose, and as such whether this is your thing depends on what you like to do to or with your music. 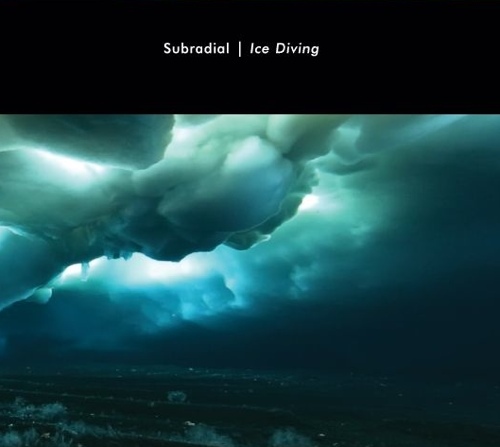 The first part features crickets and other nature sounds blended with beautiful low, long drones from flutes. The second part has thicker sounds, beginning with something almost approaching a rhythm, though not quite. So far, though I'm still trying to fully digest it all, my favourite may be part three, which is barely audible as it starts, washing over you very softly in the background. It is as light as a musical feather, and just as delicate. All of it is extremely organic and textural, trademark Robert Rich. Difficult to describe, pleasurable to experience. " "Robert Rich is the mastermind behind Somnium, a single continuous track, comprised of a seven hour long "sleep concert", which was recorded to take advantage of the DVD formats extending playing capabilities. This may be one of the longest continuous musical compositions ever released in any format. As a result, Somnium represents an ambient music landmark. Robert Rich has meticulously crafted a fresh studio interpretation of his notorious all-night Sleep Concerts, incorporating newly recorded electro-acoustic,electronic and environmental textures, with elements created for the original live events. Somnium guides the listener through an ever-changing dreamscape, with levels of subtle detail that reward both active attention and background listening. Deep and sonorous, mysterious and diffuse, liquid and hypnogogic. The concert is comprised of three sections. Part 1: 2 hours, 35 minutes, Part 2: 2 hours, and Part 3: 2 hours, 25 minutes. The recording was assembled and edited from August 1999 to July 2000, using sound elements recorded between 1994 and 2000 by Robert Rich. Instrumental sounds include analog and digital electronics, processed flutes and acoustic piano, lap steel guitar with a Sustainiac Model B pickup, chimes and bowed metal. Environmental sounds were recorded by Robert Rich in California, Iowa, Minnesota, Washington and Mexico. Additional sounds include electric fish (Apteronotus leptorhyncus) recorded at Scripps Institute with the assistance of Calvin Wong, and processed environments from the library of Andy Wiskes. It is irrelevant whether these sounds originate from an organicor electronic status, like such luminous anomalies as quasars and black holes, the very ambiguity of their nature imbues them with a sendse of mystery, awe,and splendor. Rich once again proves that its not the equipment that empowers the mind, but the ability and insight of the composer. As with all good music of this nature, a pair of closed eyes and a fertile imagination can take the listener on some very plesant journeys. Rich has crafted an album of epic proportion, which emits a wonderful energy of genuine emotion and feeling behind it's grand aspirations. Rich is a composer of great depth and vivid imagination. Highly recommended. " "From the press release: "Robert Rich has meticulously crafted a fresh studio interpretation of his notorious all-night Sleep Concerts, incorporating newly recorded electro-acoustic, electronic and environmental textures, with elements created for the original live events. Somnium guides the listener through an ever-changing dreamscape, with levels of subtle detail that reward both active attention and background listening." It also says in the press release that this is "possibly the longest continuous musical composition ever released on any format," representing an ambient music landmark. First off this is a fantastic disc. 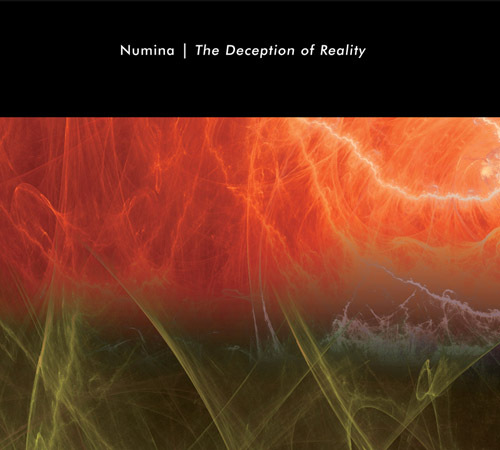 For those of you that haven't heard about Somnium, it's in a DVD format, which is both good and bad in my opinion, it's fantastic because Somnium is seven, yes seven, hours deep, or background listening ambience, but the bad part is the only DVD player I have is on my laptop and when listening to this disc I have to listen to the annoying sound of my DVD-ROM spinning, but that's my ONLY complaint. As I said, this is a fantastic recording, and one that definitely came at just the right time. I'm glad the Hypnos, Release, and Robert Rich pursued this work. In lieu of all of the long-running, continuous-playback releases over the last couple years, Robert has, truly, created THE master long-running, continuous-playback recording. Somnium is great because it really compliments the experiential aspects of existence. You can put this recording on, and it will play for an almost half a day, which, possibly, could lead to a new beginning for Ambient music, perhaps a beginning that a reliable Audio format has kept us from for some time: Ambient music as a utility music that's constantly playing, and compliments all aspects of daily life. A concept that Brian Eno investigated early on in some of his liner notes, but didn't really elaborate on in his writings or his, subsequent, recorded work. 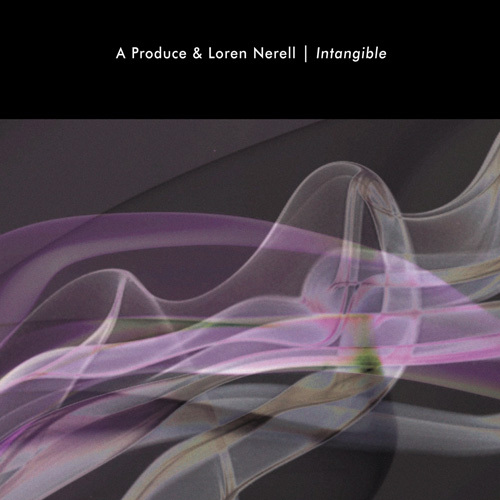 But as Eno, so eloquently, points out in his Forward from Mark Prendergast's book, The Ambient Century, recording is what really "liberated music from the moment of performance and from the performers themselves. Records meant that music could be carried and collected and listened to over and over. They allowed people to take the music home, and to choose when and where and how they would use it." Eno's Point is important when one considers Rich's landmark Somnium release because the recording liberated Ambient music, Rich's work has liberated the long-running, continuous-playback piece from a 74-80 minute time-frame, to something that's much more easier to integrate into daily life. Somnium is a profound work and, one, that I'm sure, sketches out the future of Ambient music, and experiential listening.... Verily Somnium represents the future of Ambient music. Kudos to Robert, Hypnos, and Release for putting this fine recording into existence. A landmark has been achieved here, and history has been made." 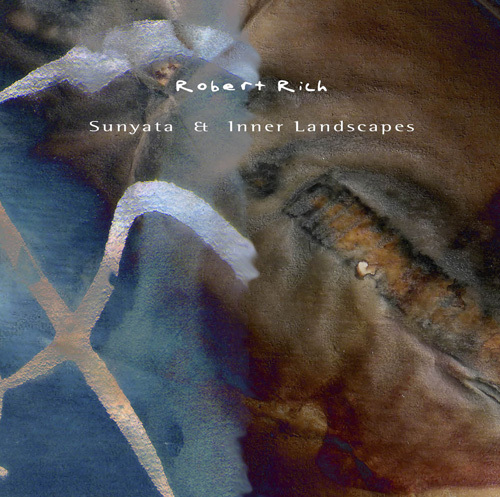 "The seven hours of music of this DVD disc by Robert Rich are treks towards the deepest areas of Ambient. 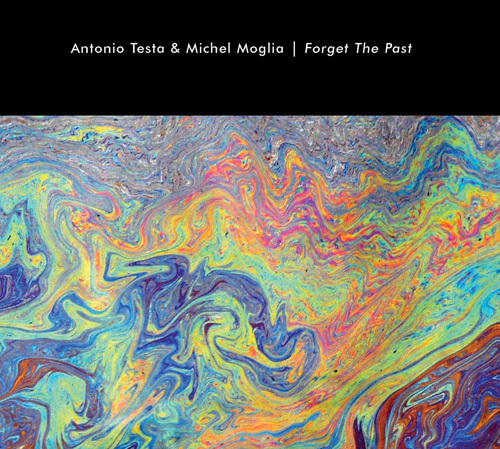 Explorer of fathomless musical abysses, the artist offer us a work of electronic music of a deeply oniric nature. 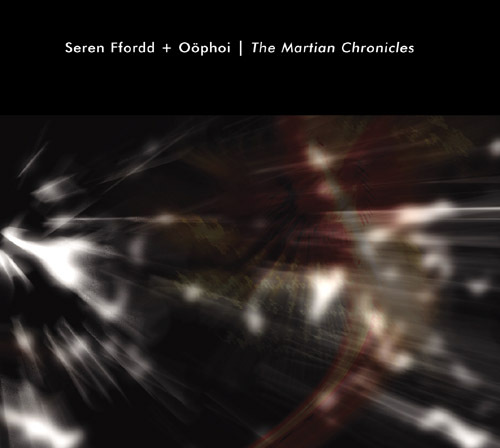 Three long symphonies ideal to let imagination soar through unearthly worlds."